Although I have quite a few skeins of this yarn, I've not knit with it before. My knitting goals for the year included exploring and using different yarns. I think I've done pretty well on that front. 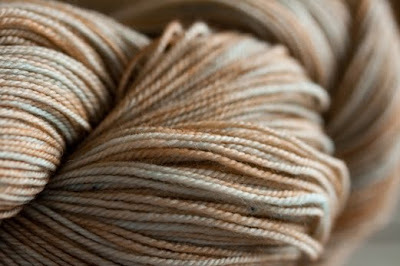 This yarn is from Woolen Rabbit, in the color 'Beach Sand'. And check out the new pattern from Anne! I can't wait for this beauty to be released to the public!! I hope you all had a grand weekend! Autumn was in full force here between sun and rain, wind and calm. 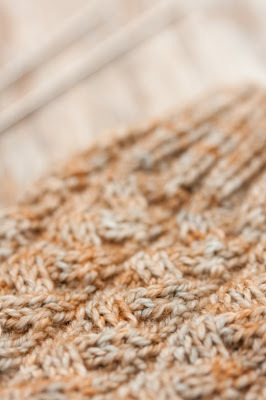 I'm trying to knit with many different yarns too, but I keep gravitating towards my favorites. Lovely lovely socks. 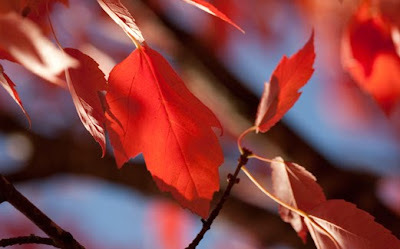 And the light on the leaves photo is stunning! What an interesting texture that sock has. It looks warm and manly. Wow! Wow! Wow! 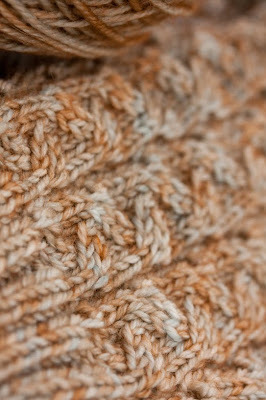 Love the yarn, and of course, the pattern is perfect! 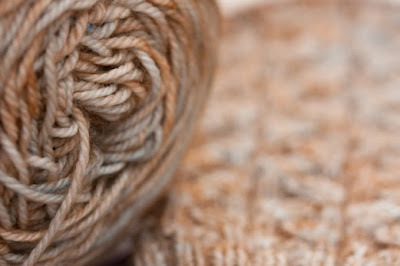 oh wowie, zowie, i just love the new sock in kim's yarn! !